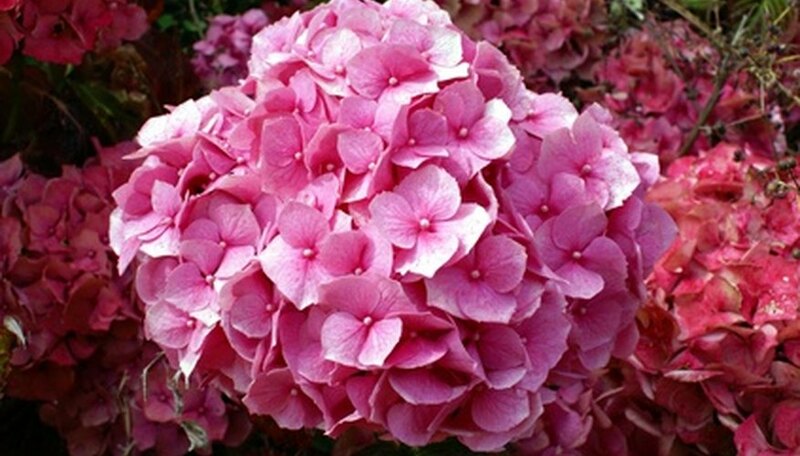 The hydrangea is a flowering perennial shrub grown for its huge, pastel-colored flowers. Orlando, with its sandy soil, presents a challenge to the hydrangea gardener. Agriculturists at the University of Florida recommend Hydrangea macrophylla, also known as Bigleaf, French or Florist’s hydrangea, for Orlando gardeners. The Endless Summer variety is one you may want to consider. In Orlando, hydrangea blooms in late spring and early summer. Provide your hydrangea with the proper amount of sunlight. Morning sun is fine, but the hydrangea will require protection from the hot afternoon sun, so plant it in an area that gets afternoon shade. Ensure that the soil in which the hydrangea is planted is well-drained. Hydrangea loves water but will suffer if the roots are constantly soaked. Keep the soil moist, not soggy during the hottest part of the summer. At other times, allow the soil to dry to within the top 1 inch. Gardeners in Orlando will need to water much more frequently due to the sandy soil in the region. Lay down a 3-inch layer of mulch at the base of the hydrangea but don’t allow it to touch the bark. Keep it at least 2 inches away from the trunk and spread it out as wide as the plant. This will help to keep the soil cooler in the summer and make it more difficult for weeds to grow. Fertilize your hydrangea with a balanced fertilizer such as 10-10-10, twice during the summer. Follow the application rate suggested on the package. Don’t fertilize your hydrangea after August. If you are growing your hydrangea in a container; feed it bi-weekly from March until November. Drop down to once per month feedings from December to February. Prune your Hydrangea arborescens (such as Annabelle) back, in late winter, to 1 foot tall if you want larger flowers. If you don’t care about the size and want more flowers, prune it to 2 feet or more. Oakleaf hydrangea should be pruned in early summer. Hydrangea macrophylla, such as Nikko Blue, need to be pruned when they begin growing leaves in the spring. Cut back the stems to just above the bud. Endless Summer can be pruned any time. Cover new hydrangea plants during their first frost. More established plants are better able to tolerate cold conditions. However, if the weather should swing from hot to frost, cover even the mature hydrangea bush.